Healthy communities celebrate early and often. I think we in feminist studies in religion are always in order when we lift up our own colleagues, herald their work, and underscore all that they contribute to the world. Technology makes creative modes of doing so easy and accessible. These are not gratuitous, feel-good exercises, but integral ways of deepening the scope and emphasizing the seriousness of our work, as well as recognizing the women who do it. Honoring our colleagues is part of the natural maturing of our field. Latin American colleagues showed the way in their recent celebrations of the life and work of ecofeminist Catholic theologian Ivone Gebara. The Faculdades EST (Escola Superior de Teologia) in Sao Leopoldo, Brazil, awarded her an honorary doctorate. Illness prevented Dr. Gebara from attending, but she watched the Live Stream from her home in Sao Paulo, delighted by what she saw. Her colleagues around the world looked on as a theologian, once reviled by Vatican officials, was praised for her pioneering work on feminist and liberation theologies. Her commitment to change the lives of people who are made poor by unjust economic structures, and especially her courageous stance in favor of the decriminalization of abortion that resulted in her being silenced by the Vatican and sent abroad to study were put in perspective by this honor. The Laudatio by Andres Musskopf is a work of art. That and the many remarks by students and coworkers will be published shortly as an ebook. It was an unforgettable evening of tributes, music, and fellowship, encouraging not only Ivone, but all in the field who struggle as she does to use ideas to make social change. Colleagues presented Ivone with a Festschrift during the ceremony, Querida Ivone: Amorosas Cartas de Teologia & Feminismo edited by Nancy Cardoso and Claudio Carvalhaes (Sao Leopoldo: Centro de Estudos Biblicos, 2014). Rather than collecting formal essays, the editors invited contributors to structure their chapters in letter form, beginning each one, “Dear Ivone.” Personal reminisces and scholarly critical analyses combine to shed light on her work. Far from falling into paroxysms of nostalgia, the authors offer substantive critical treatments laced with ample praise. My chapter, “Juntas em tantos lugares” (“Together in Many Places”) reviews our shared experiences especially in the Shared Garden, a three-pronged project between Ivone’s group in Recife, Brasil, Conspirando in Chile, and the Women’s Alliance for Theology, Ethics, and Ritual (WATER) in the US. We gathered scores of women from both continents for intensive weeks of study, site visits, and rituals all focused on ecofeminist contributions to eradicating violence against women. A third celebration of Ivone emerged recently in the form of a special issue of the Brazilian feminist theological journal Mandragora, Vol. 20, No. 20, 2014. Edited by Belgian born feminist theologian Lieve Troch who resides in the Netherlands, and Brazilian theologian Isabel Aparecida Felix, the collection is a valuable resource for understanding the impact of Ivone’s work. 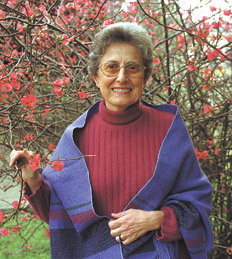 Theologians including Rosemary Radford Ruether, Kwok Pui Lan, and Leonardo Boff among many others, explore issues that Ivone has written about such as ecofeminism, cosmology, and Jesus. The collection includes several pieces written by Catholics for Choice collaborators in Chile, Argentina, and Brazil. They make clear that Dr. Gebara’s theological writing and personal commitment is a springboard for legal and political campaigns for reproductive justice. I entitled my essay “Faithful Women in an Unfaithful Church,” in an effort to situate Ivone’s work in the larger framework of Catholic women’s struggles for justice and equality in a recalcitrant institution. I look at Ivone as a prototype of such women, one whose signal contributions have sparked many other women to engage the issues with vigor and confidence. These celebrations of Ivone, who continues her writing despite health challenges, make me think of the untimely deaths of Ada Maria Isasi-Diaz and Marcella Althaus-Reid. While we as a field have remembered them, we really did not have public, open opportunities to celebrate them and their work while they were alive to enjoy them and be motivated to dig deeper, push harder, what pioneers have no choice but to do. I regret that and aim not to repeat it. Let no celebrations be considered too extravagant. Cheers!